In order for young athletes to make it to the next level, they'll need a handful of qualities to be recruited collegiately and to develop past their high school successes. Caleb Foster already has a few. The Clovis North (CA) High School junior is developing into a top tier recruit with his ability to be consistent and versatile. Foster currently competes in the long jump, 100 meters and 110 meter-hurdles. And coaches across the country aren't looking for one-hit-wonder athletes anymore. They're looking for incoming athletes to be the best at their main event while still being able to contribute in others. The best current collegiate example is the University of Florida's Grant Holloway. To have the ability to be successful in more than one event adds up more chances to score at conference and nationals championships, which means more points for the team. This makes Foster more marketable. His most recent long jump (25 feet, 1.5 inches) at the Arcadia Invitational bumped him from US No. 5 to US No. 2, just behind the top recruit in the country, Matthew Boling. Foster's new personal best of 25-1.5 would currently rank him No. 28 in the NCAA, which is just outside the top 24 for the national championship. And among underclassmen, he would rank No. 8, with JuVaughn Harrison of LSU leading the way -- among the Class of 2018 freshman, he would be No. 2. Before breaking the 25-foot barrier, Foster has been very consistent, jumping over 23-feet in the event. This outdoor season alone he's had four finals marks over 23-feet, and since the 2018 outdoor season he's jumped over 23-feet 13 times, with six final marks over 23-5. What will also work in his favor is his natural development over the years in his sprints and hurdles. There's an immense progression from his first indoor and outdoor season in 2017 to now. There's doubt there's a correlation between his work in the 100m and hurdles as it relates to his attempts on the runway. 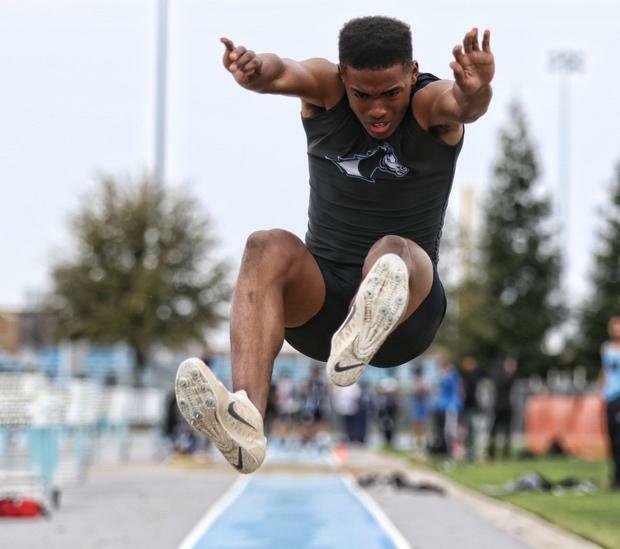 The Clovis North junior still has another year to improve his marks, but he's already showing promise as a triple-threat. In his second 100m of the season, he achieved a new PR of 10.76. 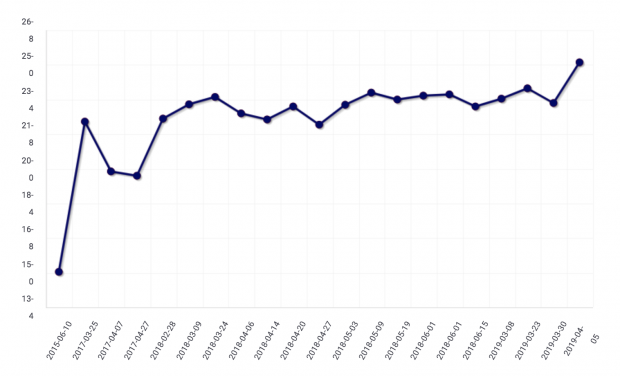 With so much of the season left, including the CIF State Championships and New Balance Nationals Outdoor, there's a good chance that he can pair his long jump power and speed for a sub-10.6 effort. Coming off of his US top 20 (CA No.1) effort in the 60mH (7.97) this indoor season, Foster has the opportunity to run sub-14 for the first time this season. A year ago, he matched his PR at the 2018 CIF Central Section Finals (14.2w) with a 14.13 (CA No.3/US No.33) at the West Coast Relays. And even if Foster runs sub-13 this season, he would still need to transition in college to the 42-inch height. And that could take him awhile to adjust, like most underclassmen hurdlers. But this outdoor season holds plenty of promise for this naturally talented junior. As long as Foster continues to progress in his sprints and hurdles, along with getting consistent over 25-feet, elite programs will be headed his way.